A belt buckle should do more than just keep your belt from coming undone and falling away. It should also make a fashion statement. The Ornate Brass Belt Buckle will do both of these and more, serving as an accessory fit for a noble! 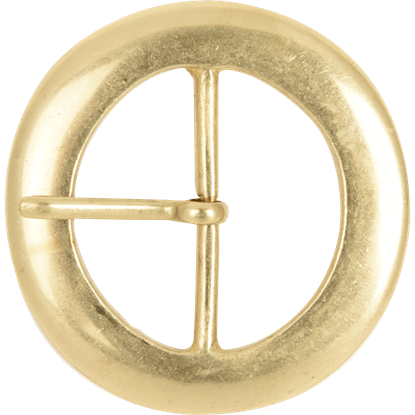 The brass fastener has a rounded pentagonal shape with an elegantly detailed border. 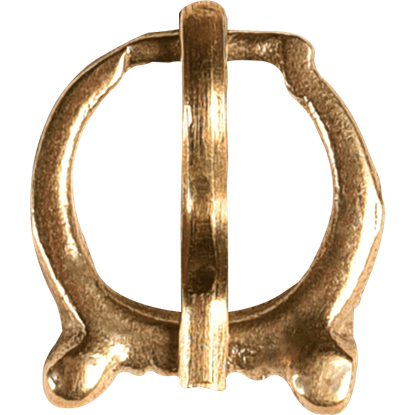 A loop at one can be attached to thin medieval belts or straps, and a brass pin will secure this medieval buckle in place when placed through a punched hole. The Ornate Brass Belt Buckle is the perfect accessory for any noble hoping to dazzle at the Renaissance fair, and it makes a great addition to DIY historical and fantasy garb. For centuries, the fleur-de-lis has represented nobility. 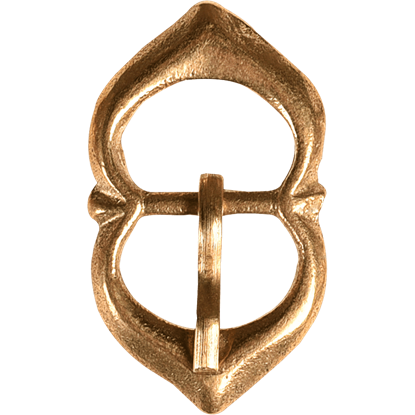 It is for this reason that the Fleur Brass Belt Buckle draws inspiration from this symbol. 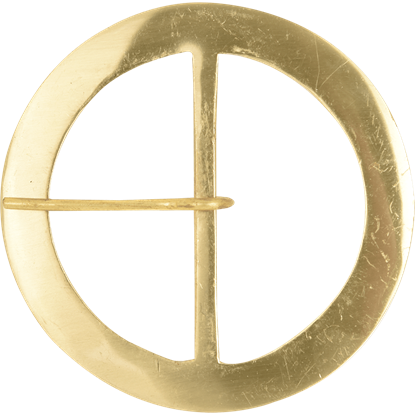 Look both stunning and refined when you add this medieval belt buckle to your outfit. The perfect accessory for a medieval outfit does not have to be elaborate, but its design can allow for a bit of luxury. The Wide Brass Belt Buckle maintains a perfect balance between simple and elegant, making it ideal for your ensemble. 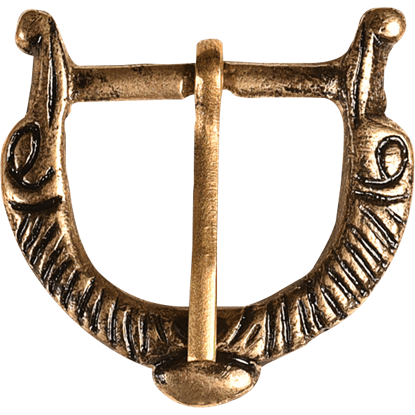 Whether you are a noble or a peasant, you will likely need a buckle to keep your belt on, your doublet closed, or your armoured ensemble together. 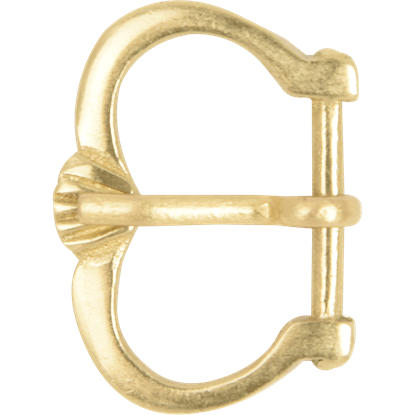 For an all-purpose medieval fastener, look no further than the Renaissance Brass Belt Buckle. It is hard for a knight to be taken seriously when their armour is falling apart. 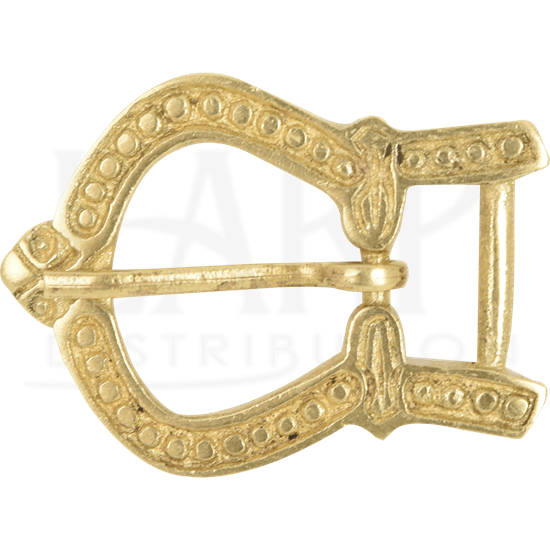 If you do not want to be the laughingstock of the battlefield, you should equip your ensemble with the steadfast and reliable Tasso Buckles. A warrior is only as good as their best defense, and their best defense is only as good as the buckles that hold it all together. 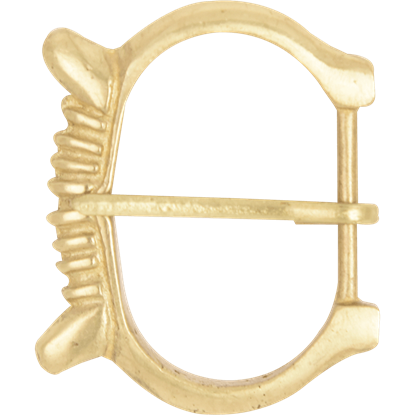 Make sure your armour stays on your body in the thick of the fight when you use the trusty Anite Buckle. A Viking is a lot less fearsome if their pants keep falling down on the battlefield. You laugh now, but it could happen to you. 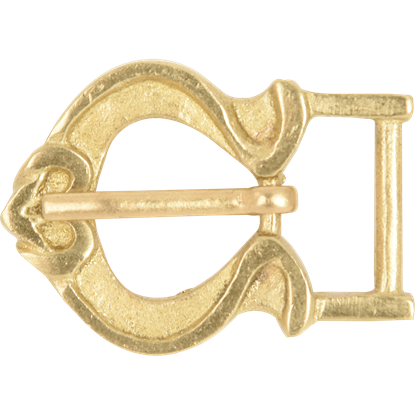 Safeguard against embarrassing mishaps like this by equipping your Norse wardrobe with the Lisig Viking Buckle. On an adventure, danger can strike at any moment. Whether you choose to fight or flee, the last thing you need is to trip over your pants. 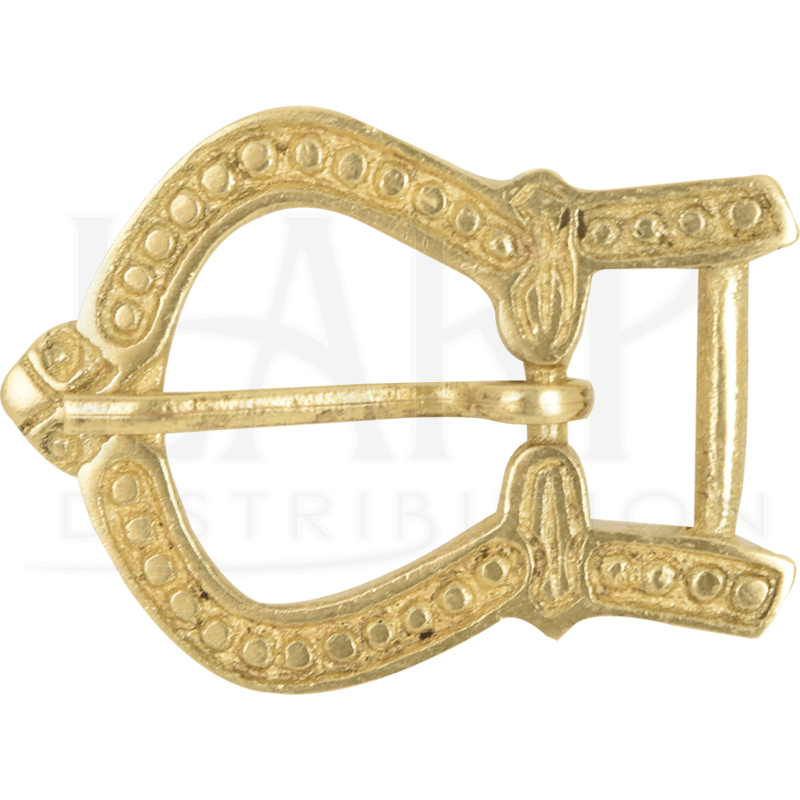 That is why you need a sturdy, dependable buckle, such as the 2 Inch Round Brass Belt Buckle. The medieval world can be a frightening place with dragons, treacherous knights, and pillaging Vikings at every turn! The last thing you need to worry about is losing your pants. Luckily, the 3 Inch Round Brass Belt Buckle can help.